Treasurer Ed Wilhelm: “Linda, my wife, and I have four sons (ages 25 to 35). The three youngest were born at home. 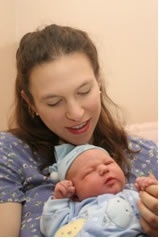 I began teaching childbirth at home classes after the birth of our second son. 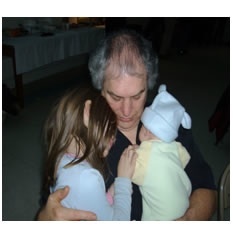 I became involved with BOA (then the Takoma Park Birthing Circle) in 2005. I help at birth in any way that will help the expecting family. 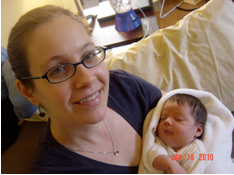 Board Member Sara Baum: When I moved to Maryland, I was pregnant with my second baby, and looking for a midwife. I also wanted to connect with area birth professionals as I worked to establish my birth doula practice here. And I was hoping to meet some kindred spirits who cared as much as I did about making birth a positive experience for women and families. Thanks in large part to the Birth Options Alliance, I was able to accomplish all of this -- our daughter's birth was a great experience, I've benefited from the support and guidance of many local birth professionals as I've established my doula practice, and I’ve met a lot of wonderful people who care about making birth better. I am very grateful for the Birth Options Alliance, and am happy to now have the opportunity to make available to others the BOA resources and connections that were so useful for me. Board Member Jill Chasse: We all need community – support, networking, respect, education. I find that especially in the field of birth. Maternal and perinatal issues often struggle to have a voice. I have been a pregnancy counselor and health consultant for many years as an ancillary career. I have tried to leave it, but missed it too much! But the struggle to pioneer and stay afloat alone was stressful until several friends pointed me in the direction of Birth Options Alliance. What a joy it was to find this community! As birth centers began to fade and mothers didn't know where to turn anymore, BOA was able to provide options, choices, education and support! I attended some meetings speaking on perinatal loss, baby blues and ceremonial birthing art. I initially became involved from a practitioner/professional point of view, but soon found I was pregnant with my little boy, so as a consumer I soaked up the wonderful information provided to help me have the best birth for my son, and almost 3 years later, for my daughter. Births that would not have been possible without the resources and support through the BOA network! Co-President Emeritus Mary Beth Hastings: “When my mom told me the story of my birth, she always said she thought the doctor would have preferred if I had been born without my mom's involvement or even presence! So I came to birth activism from a deep belief in the agency of women and an aversion to having my children's births being controlled by structures or people that didn't fully consider my input. As a feminist, I see the protection and promotion of birth options as being an important part of the reproductive health and rights movement. In fact, that's what I do professionally - I work for the Center for Health and Gender Equity, which advocates for U.S. foreign policies that promote sexual and reproductive health and rights. I've also worked as a massage therapist, specializing in care for pregnant and postpartum women. I have two daughters - my first was born at the Maternity Center after a lengthy and challenging labor that took every bit of will and strength I had. My second was born at home with a winter storm outside in a short and intense process that couldn't have gone any better. The feeling of my babies on my belly immediately after birth is one that I will always treasure. Amy Polk, BOA board member: tireless advocate of birth options and agent of change in her community, passed away in 2010. We are grateful for her work in developing content for this website.